I’ve never been to Asia. San Francisco was the closest to Asia that I’ve ever been aside from the occasional outing to the Chinese restaurant as a kid. When the opportunity arose to travel out to Taiwan for work, I jumped on it. 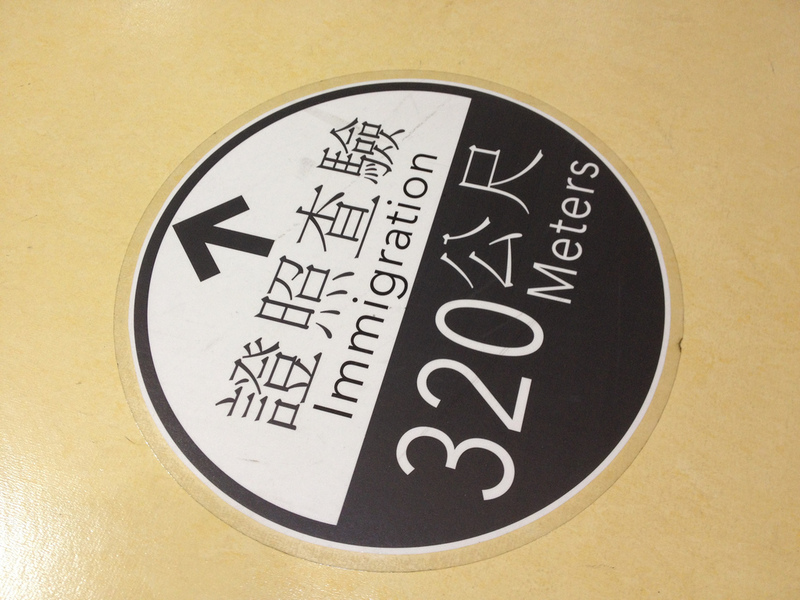 With a bit of crowd sourcing on where to go, the masses were clear: Go to Hong Kong. Hong Kong was clearly and international city with a decidedly Asian flavor. What that meant for me is that there would be enough English for me to get by. I booked a puddle jump from Taipei, Taiwan to Hong Kong. The flight here was long. No way around that. The first leg from San Francisco to Taipei was 13 hours from takeoff to touchdown. We were on a large 747. The last time I was on a plane that big was out to Cape Town, South Africa. 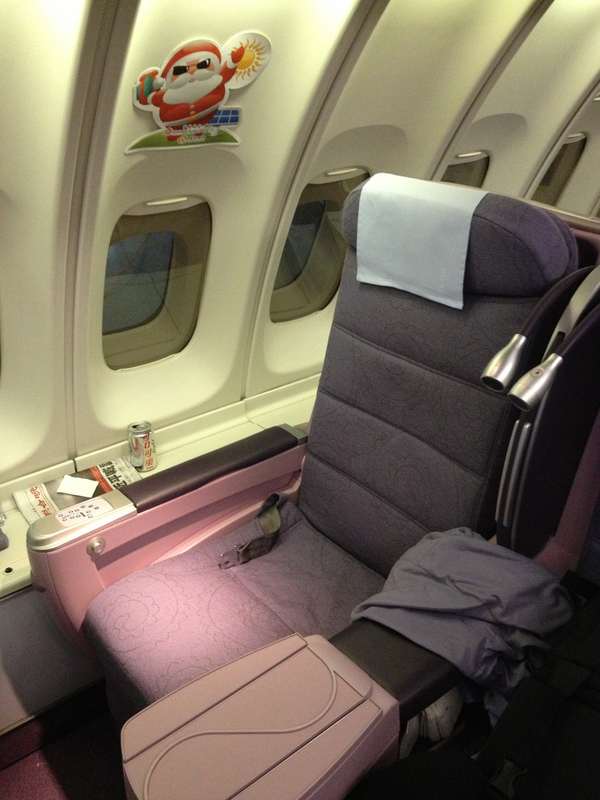 I was fortunate enough to fly business class so all in all the trip was not so bad. The seat was nice and comfortable. 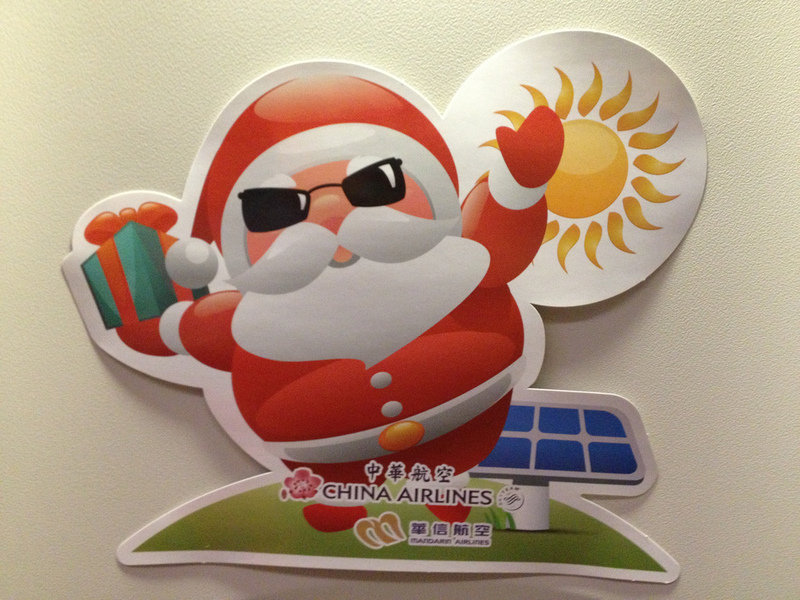 Christmas was in full swing on the airplane. There were decorations all around. That threw me off guard. 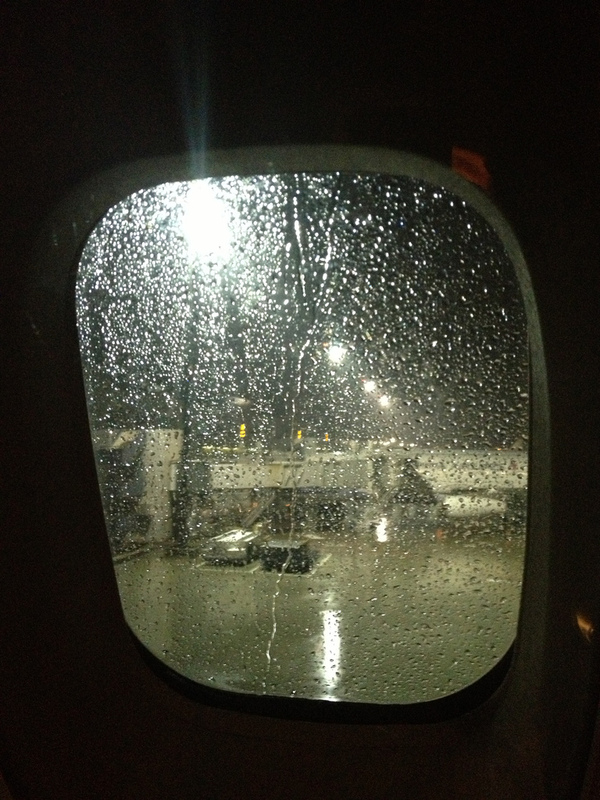 We took off at 12:05 AM on January 2 and were to land in Taipei at 6:00 AM in Taipei local time on January 3. The first 8 hours of the flight I slept reasonably well. I woke up a few times as the guy in the seat next to me kept getting up, but hey, I slept. After I woke up one of the movies that was playing was Friends with Benefits. I have to admit it was a good show. A total chic-flic of course, but there was enough action in there to keep the men entertained as well. 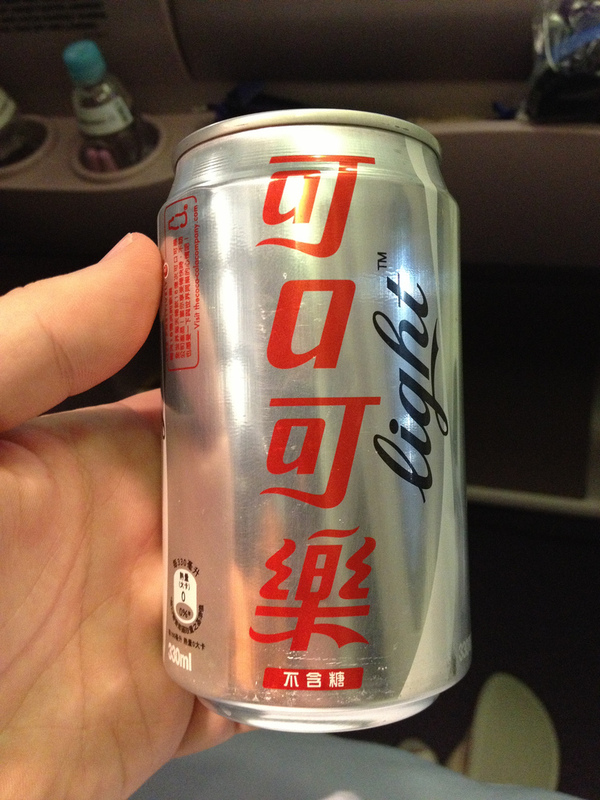 Even all the way at 39,000 ft above the Pacific Ocean, the familiar taste of home is still around. When we got into Taipei there was a massively long line to get transferred from Taipei over to the terminal do depart for Hong Kong. We had to all go through security again. The line was over three football fields long :(. I was instantly taken by the airport in Taiwan. There was mix of western and eastern cultures in the restaurants, stores, and languages. I had a four hour layover between here and Hong Kong so I was curious to give FaceTime a try. I was able to call back to the states to see my sister’s family in video. My niece and nephew were able to see some of the ins and outs of the Taipei airport. 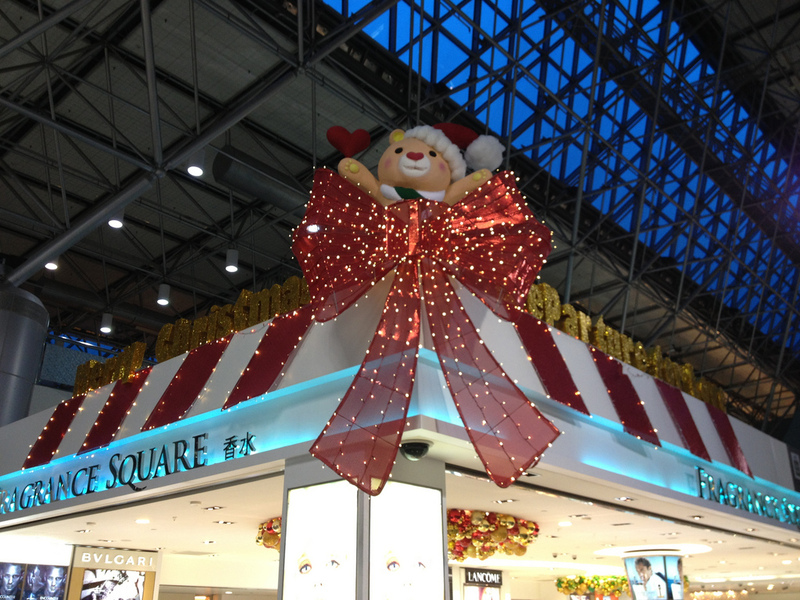 Christmas celebrations were in full swing at the airport (in January). Finally at 3pm I’m in Hong Kong! Immigration was painless and my bags showed up on time and it was off to the train. Hong Kong’s metro is known as the MTR. I thought I had decent instructions about what to do once exiting the train but came out of the station and saw a mass of bridges, roads, and pedestrian overpasses that made my map look out of place. A nice woman could see that I was completely lost and offered to help get me to where I needed to go. With her broken English and my non existent Chinese it turned out I got off the subway one station too early. She walked me literally to the hotel door. At this point I really was exhausted. I crashed on the bed and was supposed to wake up in an hour. Five went by. I decided to walk around town to get some dinner. First thought, I needed to make a quick stop at the ATM to withdraw HK$1000 for some liquid cash. I instantly got a fraud alert from my bank saying something bad happened. Credit card international fees add up quickly so it’s easier to get money from an ATM to keep transactions in local currency. I found a place a block or two away: Harmony Restaurant. The menu was mostly in Chinese but I was glad to see pictures I could point too. Chicken stir-fry was on the menu for today. The food was good but the biggest difference between here and home was that the meat was not de-boned. Minor details. I was out that night. Given that I’d slept 5 hours earlier in the day, I didn’t think I’d sleep well. That rumor was unsubstantiated.